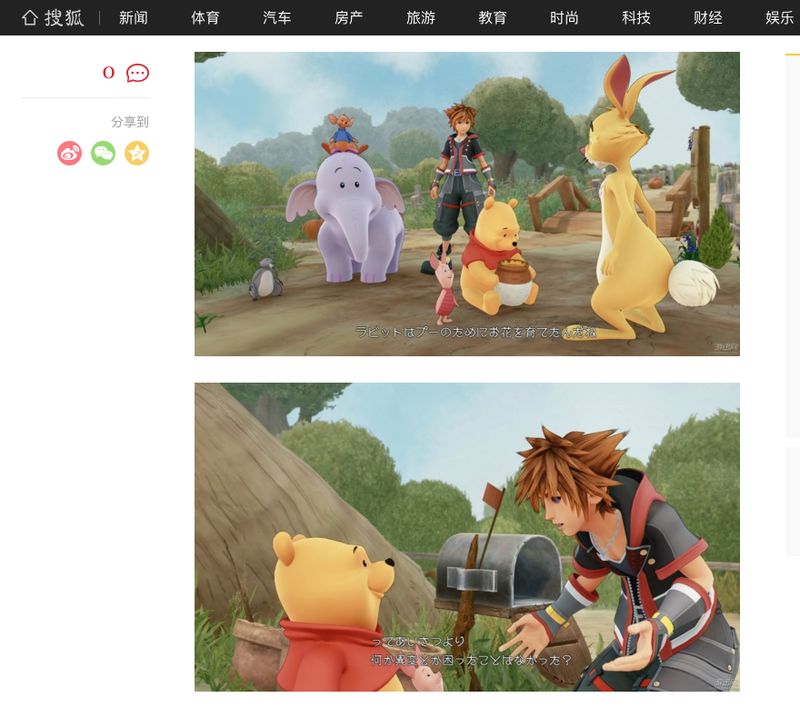 When Chinese game site A9VG recently covered Kingdom Hearts III, it decided to remove one thing: Winnie the Pooh. Below is a screenshot of the A9VG coverage that was posted on Weibo, China’s version of Twitter. According to Buzz Plus, to get around censors, it seems, the site decided to edit out Pooh bear. Chinese leader Xi Jinping has been repeatedly compared to Winnie the Pooh, which led to a crackdown of the character on Chinese social media. American friend: why tf is Winne the Pooh banned in China fam? More recently, the movie Christopher Robin was banned in China. According to The Hollywood Reporter, no official reason was given but a source claimed it was due to the Pooh comparisons. Other Chinese game sites ran images of the character (screenshot below), so it seems like A9VG was being on the more cautious side for social media. A9VG, however, does have an image of Pooh bear on its website. As does the website Sohu.com. Other sites, however, did not include any images of the character. 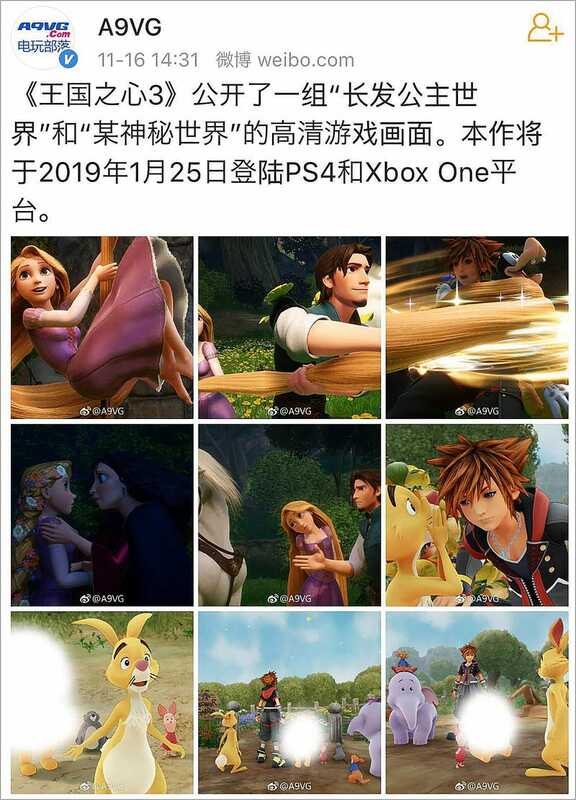 A Chinese language version of Kingdom Hearts III is in development. 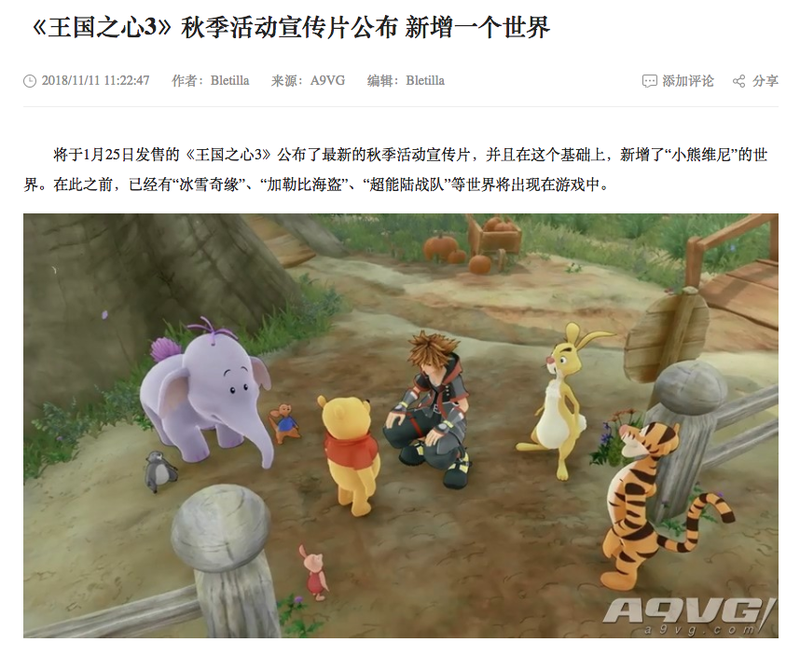 It’s not yet known whether or not Winnie the Pooh will appear in the game or not. This story originally appeared on Kotaku.